Discover the Media Angels Creation Bundle! 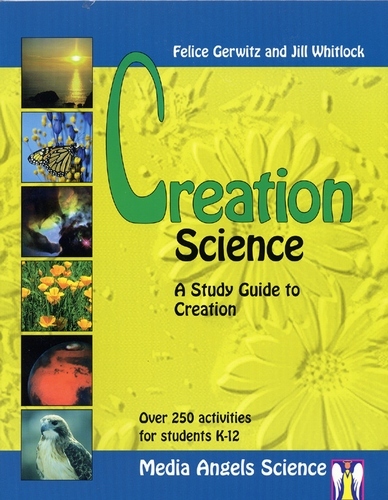 Our science curriculum books focus on topics that teach your children the truth about God’s glorious Creation. And ways to defend it! 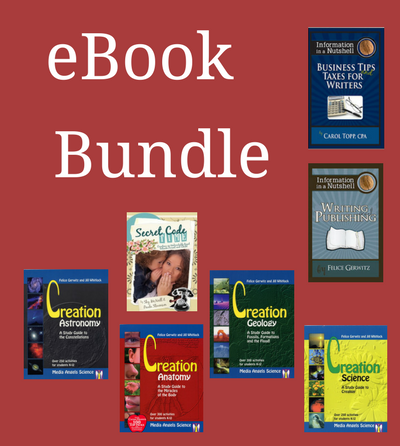 This level includes all our creation curriculum classes and everything in the eBook bundle. For $15 a month, you can have online creation science curriculum designed to ground your family in a Christian worldview. Do you believe that God created all … what about the world? Do you think HE could have created the world as stated in the Book of Genesis. This book will answer those questions and so much more! 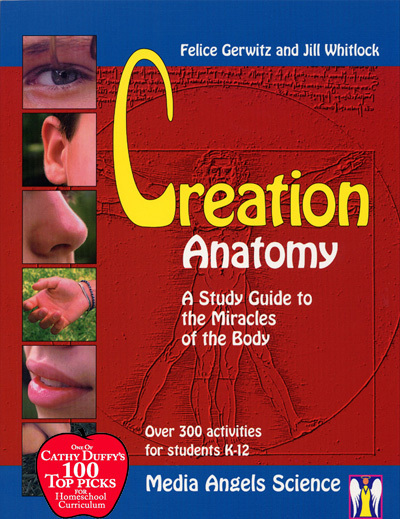 This is a study guide that will take you through the Bible as well as the factual information that is demonstrated by science that points to the hands of a Creator God. No boring science here! Great hands-on activities that children love and they’ll actually remember what they’ve learned long after the books are closed. Read great books, demonstrate theories with activities and learn the joy of knowing our universe was created by an amazing God. Completely re-edited with many pages added including lesson plans! 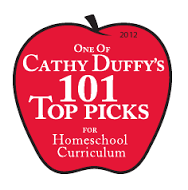 This is written for all grade levels integrating all subjects. This includes outlines, activities, experiments, vocabulary, reading lists, math ideas, book reviews, reproducible sheets, and much more. This features a 31 page detailed teaching outline. For 4th Grade and Up. The body is the most incredible of God’s creations! The complexity of even a single cell is amazing and points to an awesome Intelligent Designer, and His name is God! Come study the wonderful systems within the body and learn that we are incredibly made. Learn how to refute the errors of evolutionary thinking. The complex body system defies Neo-Darwinian evolution. More and more scientists now realize that evolution just does not have all the answers. Shouldn’t your children understand why? This study includes easy to follow lesson plans, a teaching outline for K-12, over 300 activities and experiments (including Francesco Redi’s experiment that proves life only comes from life! ), the body systems, original research, human history, language information, vocabulary list, recommended reading (not necessary to complete this study), math activities, book reviews, reproducible sheets and much more! Want to refute the big bang theory? Here is the book that will help you do it! The stars are a gift from the Lord that the enemy has stolen from us for too long. This book is a valuable teaching resource. A wonderful study on the constellations! 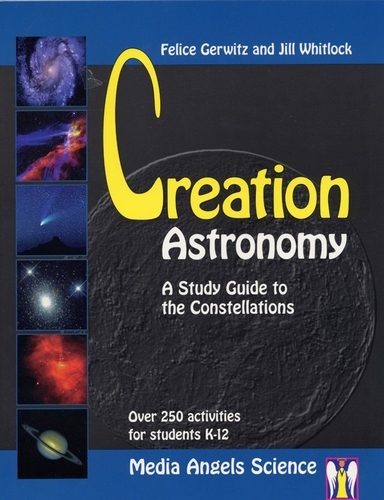 Includes easy to follow lesson plans, a teaching outline for K-12, star chart of the original 48 constellations, over 250 activities and experiments, vocabulary list, recommended reading (not necessary to complete this study), math activities, book reviews, reproducible sheets and much more! For parents of children of all ages! You can use this set again and again. This includes levels for K-4th Grade and 5th-8th Grade. 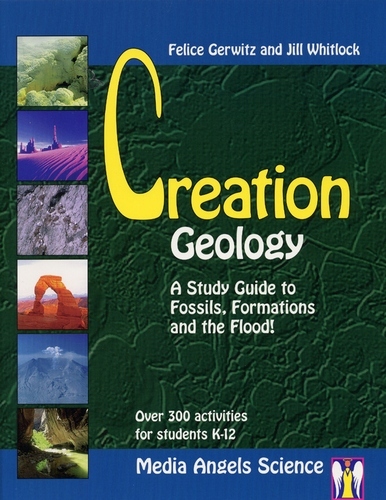 What happens when a well and oil geologist becomes a Christian and a Creation Scientist? She finds the Lord, decides to homeschool, and writes a study guide! Okay it does not always happen in that order but when Jill Whitlock and Felice Gerwitz met, Jill opened a whole new world to Felice! The result is these study guides. This one especially is amazing since it is in Jill’s area of expertise. This includes levels for K-4th Grade and 5th-8th Grade. Click Here for Detailed Class Information. Are you ready to host your own Creation Camp — at HOME? Each day you study one day of God’s amazing Creation! One Week of Full Activities or break it up into a longer period of time. Your choice. Comes complete with all the instructions, a Kids’ book you may copy for multiple children, supplies that can be shared and a Teacher’s Instruction Manual. Teacher’s Manual includes complete day by day instructions, reproducible sheets, and complete directions for each experiment, activity, and art project, and the answer keys! Student notebook: Students receive a notebook with activities sheets, crossword puzzles, vocabulary games, word search, and a separate field guide book that they can put together and decorate.